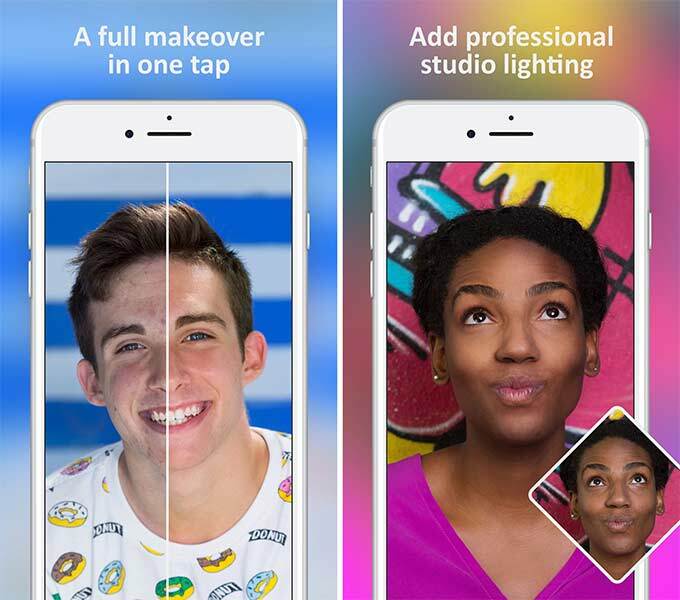 With BeautyCam you can erase blemishes, smooth skin, brighten eyes, whiten teeth, edit eye color, add filters and special effects, blur photos and more. 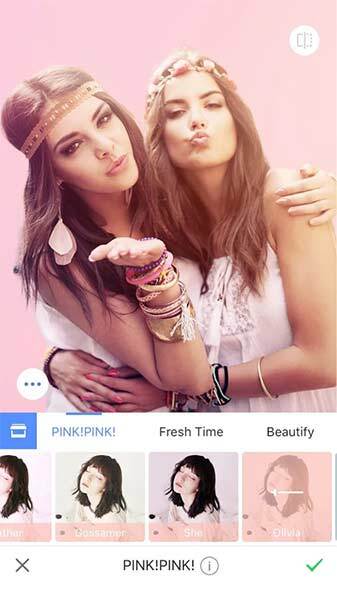 A must-have app for gorgeous selfies. One click to retouch and makeup. Bigger eyes, slimmer, brighten, foundation, eyebrow, eye shadow, eyelashes, blusher, lipstick, hair dye, etc. 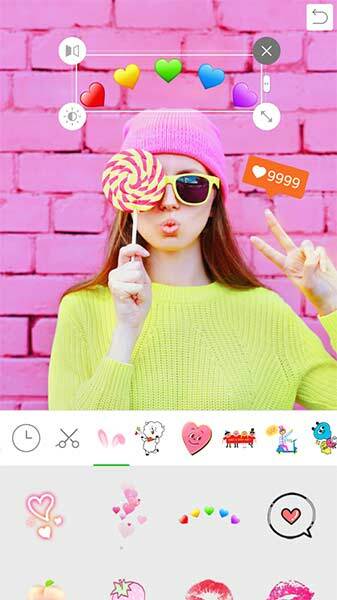 Smoother skin, slimmer body, one-tap beauty, filters, fun stickers. 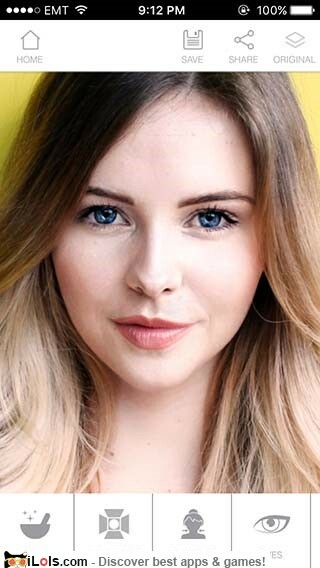 Retouch photos to adjust skin tone, add filters, easily remove wrinkles, erase pimples, edit tired eyes, reshape your face, and look thinner in just a few touches. 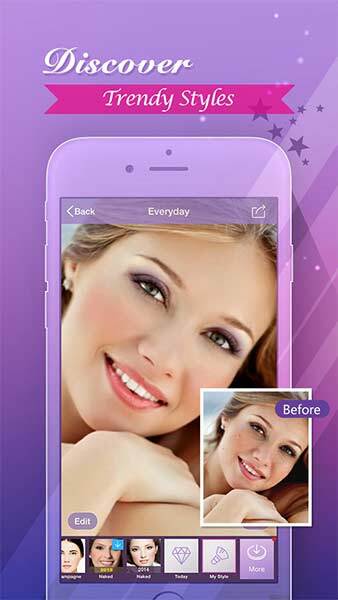 Quick-fix retouch and makeup editor by Camera350. 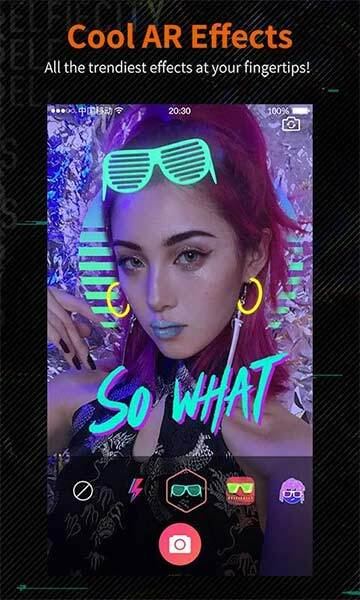 Camera360 has over 200 filters, photo beautification tools, fun real-time stickers, image blur/crop/rotate, color balance, photo frames and more. Trendy filters tailor-made for selfies. 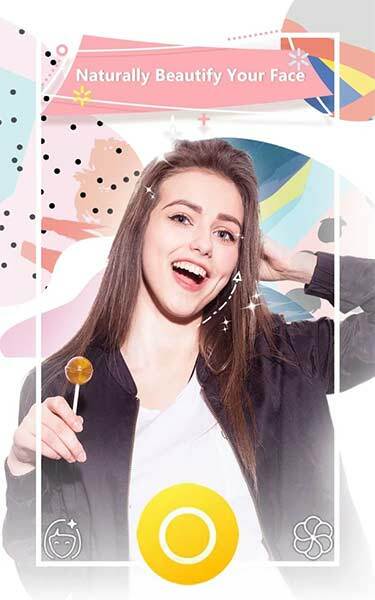 Super natural retouching effect invented by Meitu team. One touch for skin enhancement, eyes brightening and face-lifting. Stylize your photos with a variety of frames, backgrounds, brushes and filters. AirBrush brings you subtle, precise, and easy-to-use retouch tools, cool filter options, and natural, beautiful results. 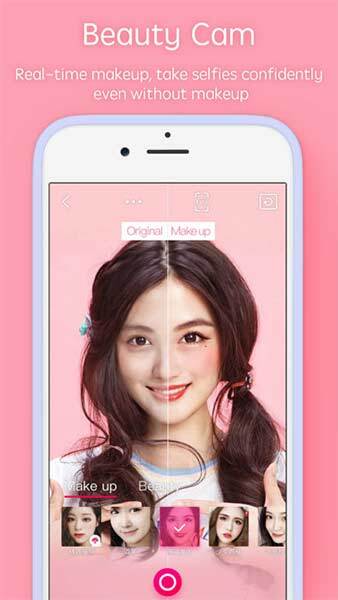 Create collages, take selfies with real-time filters, adjust skin tones, cover dark eye circles and add make up like eyeliner or blush. 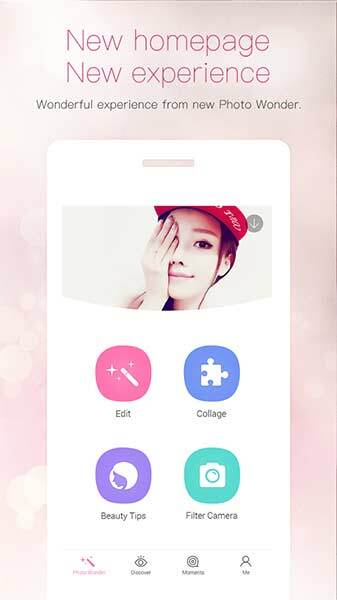 Bring out the natural beauty in your photos and make your photos adorable with LINE Camera. Decorate your photos with over 20,000 stamps and frames. 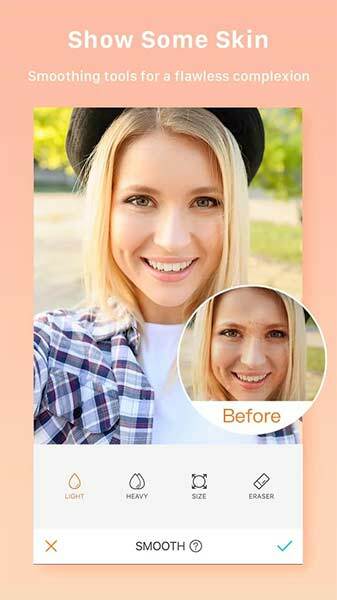 Beauty Camera is a simple and powerful app for selfie retouch. More than 20 makeup and beauty tools so you can customize your personal style – shadows, liners, lipsticks, and more. 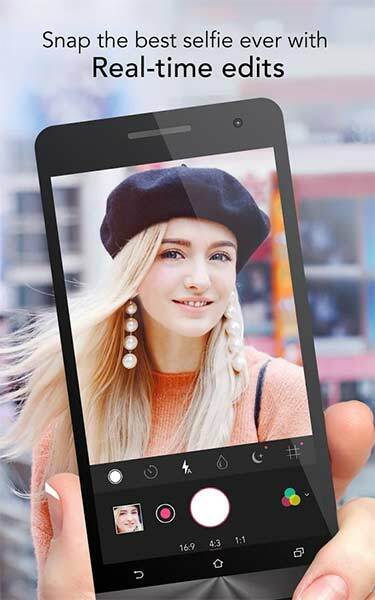 Mira uses the same technology as PortraitPro, professional face beautifier, which is used by top beauty and fashion photographers.